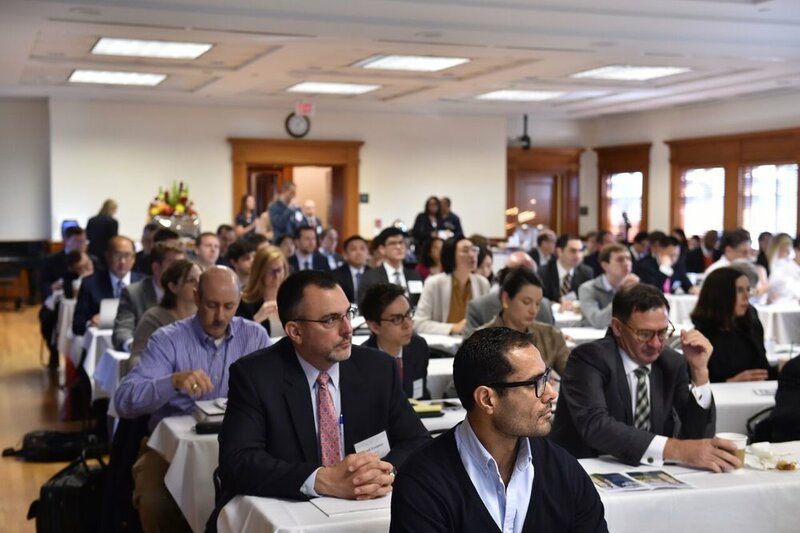 On Friday November 3rd, the Institute hosted the Ninth Annual Georgetown Law-Berkeley Law conference on the Role of the Courts in Patent Law & Policy. 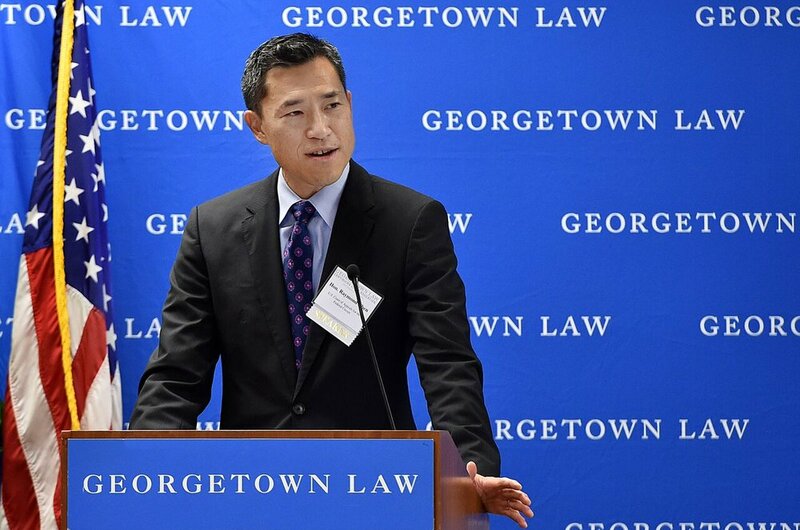 The day began with a keynote addresses from Federal Circuit Judge Raymond Chen, who was confirmed to the bench in August 2013 after serving as Solicitor of the U.S. Patent & Trademark Office. A panel on "Recent Developments in Case Management" brought together Judge Rodney Gilstrap (E.D. Tex.) and Chief Judge Leonard Stark (D.Del.) -- the two judges with the heaviest patent caseload in the country -- with Magistrate Judge Elizabeth Laporte (N.D. Cal. ), White & Case's Shamita Etienne Cummings and Berkeley Law's Peter Menell for an in-depth discussion of venue following the Supreme Court's landmark decision in TC Heartland and other case management issues. The day continued with a panel covering recent developments at the Patent Trials and Appeals Board (PTAB), featuring the PTAB's own Chief Judge David Ruschke (Georgetown Law '97) and other experts. Hot topics included parallel litigation, amendments at the PTAB following the Federal Circuit's decision in Aqua Products, and -- of course -- the Supreme Court's upcoming reviewing of the constitutionality of PTAB proceedings in Oil States Energy Services v. Greene's Energy Group. In a lunchtime keynote address, the Interim Director of the U.S. PTO Joe Matal shared his views on potential areas for legislative activity in patent policy, drawing on his own experiences as a key staffer on the Senate Judiciary Committee during the drafting of the America Invents Act. His address was followed by a flashtalk on patent litigation trends presented by data analytics expert Emily Hostage of RPX Corporation. The day's third panel featured leading practitioners Morgan Chu, Matt Powers, Celine Crowson and Ken Korea, and Professor Bernard Chao analyzing remedies and damages law. 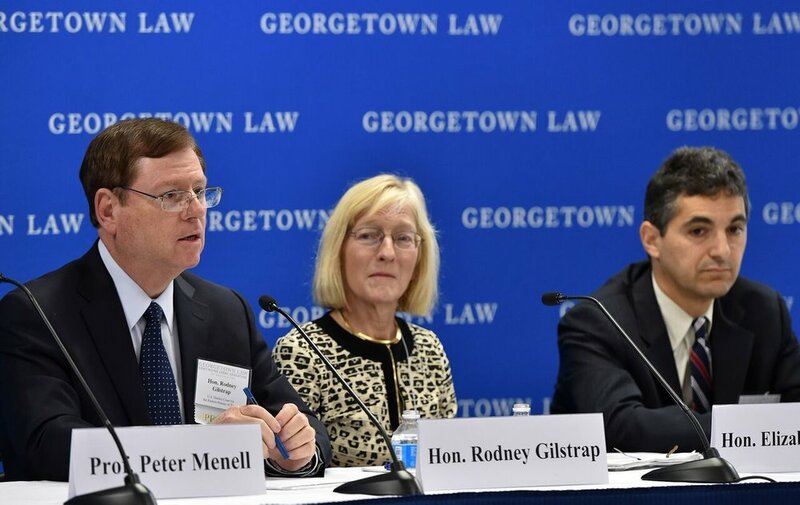 The day concluded with a discussion of the significant patent decisions issued by the Supreme Court and Federal Circuit in the past twelve months, featuring Georgetown's Jay Thomas, Professors Margo Bagley, Jay Sherkow, and Elizabeth Winston, and retired judge Rod McKelvie (D. Del.). To receive notifications of future conferences, please join our mailing list here. Many thanks to the event's sponsors and all who came!